Where is Power in the (Durham) Union? Tom Henderson in Current Affairs Editor's Picks UK Politics on 1 February, 2019. 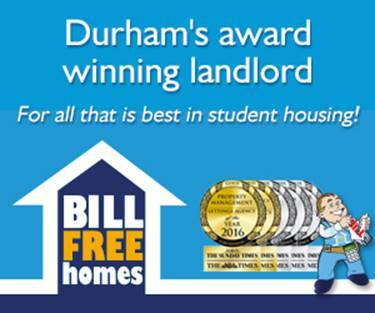 The Durham Union Society has a bit of an image problem. It is, according to its stereotype, posh, conceited, out of touch, full of well-off white boys less woke than a sleep clinic at 3am. And roughly once a year, they have a PR-disaster, be it the Secretary’s execrable comments online, accusations of sexual assault, or insensitively-chosen advertising material. This year, it’s been ‘revelations’ about the influence of Durham’s Conservative Association over the Union. I say ‘they’ – I mean ‘we’ have an image problem. I am a member of the Union Society, to which I signed up excitedly at the beginning of my first year. Since then I have attended debates, competed (albeit badly) on the debating team, and served four terms on the Union’s General Committee. I have also met a more politically diverse group of people than I’ve met anywhere else in Durham. The stereotype above is wide of the mark. 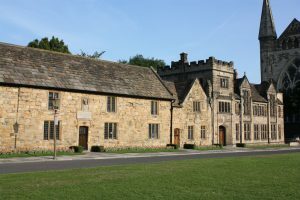 The Durham Union Society is a traditionally-styled debating society, established at a time when there was no DSU to bring together students of different colleges, and there was no internet on which to debate ideas. It’s a bit of a throwback and, as such, the membership is always going to be skewed towards those who are more conservative in taste (which maps very broadly into its values and politics). Running the Union is also pretty time-consuming. GenComm meets fortnightly on Wednesday afternoons, sometimes for hours on end (it’s a debating society, and debate we do), on top of which there are several other committees. They like their rules, and things move slowly, but they do move. The current and past presidents have put particularly hard work into doing exactly that. The talks this term include speakers from a wide range of political perspectives on a wide range of topics (you can check out the term-card here). At this point, the Union bears comparison with its counterparts in Oxford and Cambridge. Both charge over £150 for life membership; in Durham it’s £45. This is because the Oxford and Cambridge Unions pay their speakers to come and address them. We don’t. This keeps things as cheap as possible for students (as per the feedback we’ve received). Oxford and Cambridge are also both within easy reach of London. Durham is not. We are not really on the way anywhere. Getting speakers to give up their evenings to come to address us is damned difficult, involving a lot of invitations and refusals. It is all a lot of work. And those who are prepared to put the work in tend to be those for whom having a role in the Union is worth it. Those tend, disproportionally, to be the politics fans likely also to be members of groups such as DUCA. In a similar way, those of a more left-wing, activist inclination put work into contributing to the DSU. This is not nepotism, rather a group of people with roughly similar views organising themselves such that presidential elections can be won by people they agree with. It’s not a conspiracy; it is how democracy works, and what might be called the ‘DUCA’ bloc in the Union is organised and fairly successful. One reason for this is that it is very easy to organise a Union presidential campaign. You need two members of GenComm to make the nomination, plus your candidate. After that, you need to turn up, make a speech or two, and run your campaign asking members to vote for you (which can be as intensive or not as you wish). Those running take it, really, rather more seriously than they should, but being a stickler for rules is not a moral fault (that is how the DUS itself explains the Durfess posts being taken down, which fits entirely with my previous experience of campaigning). The other reason is that almost nobody else does it. Each term, there is usually only one candidate for president. The most I’ve ever seen is two (plus the famous RoN). The result is that there is not always a great deal of challenge and scrutiny of manifestos and ideas. As a person who thinks the Union is generally a Good Thing, I find this really frustrating. It should be a place where those of us who enjoy the art and theatre of live debate can go on a Friday night to unwind and meet people who are not like-minded but share the conviction that ‘unlikemindedness’ should be celebrated and explored. Very often, and particularly since I’ve been a member, it has been exactly that. However, the Union needs continued engagement from its members to maintain the intellectual variety that it needs. The Union is changing (it’s scandals, and its responses to them, show one area of its improvement) but the lack of engagement from members is one of the reasons it is so slow. The candidates for this term’s election were announced yesterday and, once again, there is only one candidate. Every member of the Union has the right to attend GenComm meetings, to see what’s going on, and every member has the right to run for president. Those posting their displeasure on anonymous fora have succeeded in intimidating and harassing their fellow students who run the Union but have completely failed to take advantage of the most obvious opportunity to directly effect change. So, if the Union bothers you, send an email to them; turn up on Wednesdays; find out who your college representative is and speak to them; maybe even give the constitution a quick read. Make sure next term’s presidential election is contested. It may be a bit arcane, and a tad fond of rules, but it’s still our Union – your Union. Afterword: After being published, new, and as of yet unsubstantiated, accusations arose over the Union internally suppressing a presidential campaign. This article identifies the natural mechanisms by which power has been consolidated non-maliciously by a particular group within the Union, how this is bad for the Society internally and for its image externally. It is the opinion of the author that the most important thing for the Union – and now especially – is to prove it’s commitment to openness, and allow the Michaelmas 2019 Presidency to be contested.